…and dessert sauce and yogurt topping and pie filling and…Think you get the idea. This four ingredient (!) 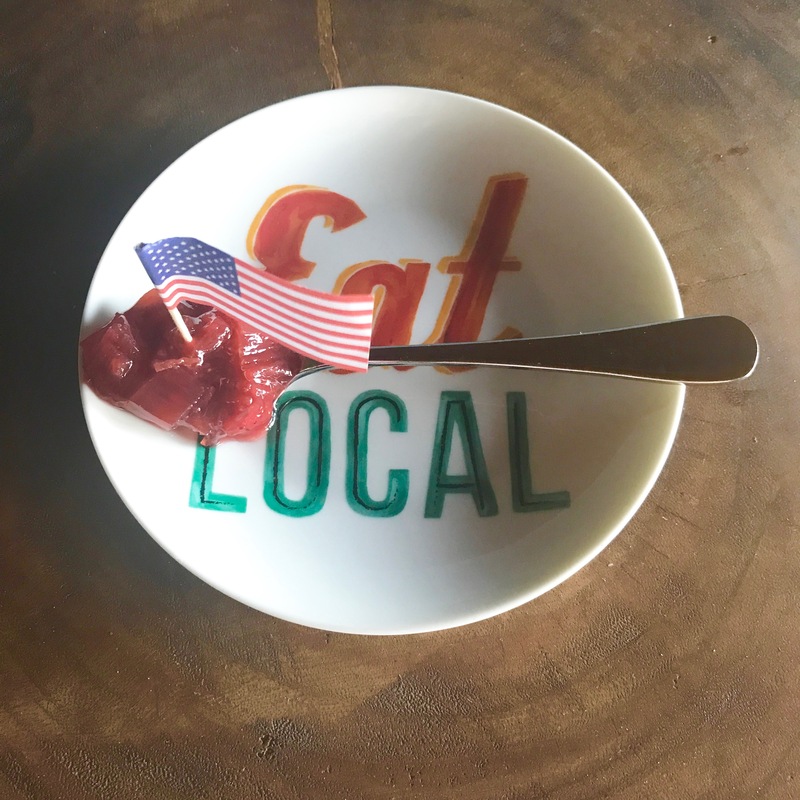 jam recipe is so delicious and so easy to make, I hope you’ll put fresh rhubarb and strawberries on your Farmer’s Market shopping list this week. If you’re tempted, don’t wait on the rhubarb. It’s only available for a very short window of time — at least here in the Northeast. I buy as much as I can, then wash, cut and freeze it so we can enjoy it for months to come. Then you can combine it with store bought raspberries, too. If you haven’t tried cooking with rhubarb, give it a try. I think you’ll like (love) it.